All are common knowledge and the vast majority exist for legitimate and or essential purposes. Indeed Ofcom recently covered them all as part of their public review into the viability of website blocking measures (linked above). This is perhaps the most basic of online privacy masks, albeit one of the least effective; assuming your goal is to fully obscure an internet connection. Most modern website browsers now come with a Privacy Mode (e.g. ‘InPrivate’ for Microsoft’s Internet Explorer), which effectively prevents your computer from storing data about your browsing session (e.g. cookies, temporary Internet files, history and other information). This is good if you don’t want advertisers or friends/colleagues to know which sites you’ve been visiting. It can also help to protect against some Spyware methods. 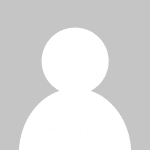 But remember that enabling a privacy mode will also prevent some website features from working, such as the ability to keep you logged into a chat room or discussion forum, and won’t stop your connection (e.g. IP address) details from leaking out. It might surprise people to learn that one of the easiest ways to defeat some internet filtering systems, such as those used by ISPs to block access to specific websites (sometimes in error) and or adult content, is to try accessing the site via its numerical Internet Protocol (IP) address. Every website starts out with an IP address, which is later converted by the Domain Name System (DNS) into a more human readable form. For example, at the time of writing http://www.ISPreview.co.uk runs off an IP (IPv4) address of 87.106.143.49, which means that you could access the site just by visiting “http://87.106.143.49” (could of changed by the time you read this). Failing that you could attempt to access the site via a Hypertext Transfer Protocol Secure connection, which really just means typing HTTPS instead of HTTP, followed by the IP address (note: not all servers enable or use https). These are often encrypted and as a result some systems do not block them. 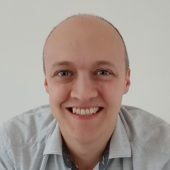 Advanced users can simplify this process and avoid repetition by adding the website to their computer hosts file (e.g. c:/windows/system32/drivers/etc/host – for Microsoft Windows XP 32Bit). For example, adding the following additional line to that file (at the bottom) would bypass your ISPs DNS server every time the related website (in this case “ISPreview.co.uk”) is called and use the sites manually entered IP details instead (just make sure to keep the IP address current/updated as otherwise the site won’t load). Take note that ISPs often suffer from DNS problems and thus this can also become a useful method for accessing ordinary sites until any related problems have been resolve. However it is by no means foolproof, many filters will also block IP addresses and related https connections. Another method for getting around your ISPs Domain Name System (DNS) servers and related filtering system is to use a free third party solution, such as one from OpenDNS or Google Public DNS. Both represent free alternative DNS solutions that are often faster than your ISPs own DNS servers, give you more control over the process and can also be more secure (e.g. OpenDNS has its own OPTION for adult content filtering that can effectively work at the network level). 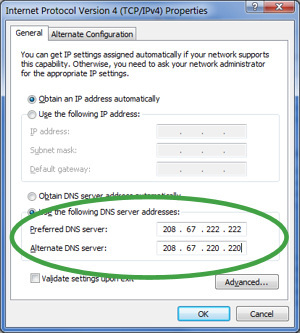 Swapping to a free DNS solution is usually just a simple matter of adding two IP address numbers (Primary/Preferred DNS Server and Secondary/Alternate DNS Server) into your software’s network connection profile (usually requires an admin account) or, more directly, from within your router. The latter method is best if you want the DNS change to benefit your whole network instead of just one device/computer (fyi – some pre-configured ISP supplied routers do not provide an option to change the DNS). It should be noted that most free DNS solutions are ad-supported, which only shows up when you miss-type a web address. At that point the free solution will often display its own search engine with a list of close matches for your search term (unobtrusive adverts will also be shown alongside). In reality this is little different from a normal search engine.